Hello everyone and happy new Year! Welcome to another year of free internet for cheat lovers. 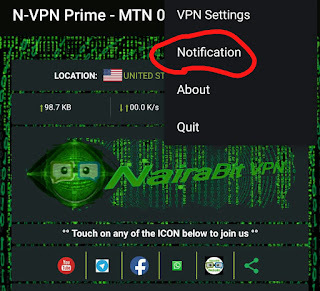 Mtn cheat 2019 on N-VPN Prime is out this January and its powered by mtn 0.0k cheat we have been using since last year. While we wait for new glo cheat, airtel and 9mobile cheat, we could make use of the ones at hand which is mtn mpulse cheat and mtn 0.0k free browsing cheat. N-VPN was first released in 2016 for glo, mtn and airtel and then N-VPN for etisalat came out in early 2017. Just last year, another variant of N-VPN called N-VPN prime was released. N-VPN Prime is an android app, this means it works only on android device. The app is free of charge and you don't need any settings to use it. Just 3 taps, very easy and simple. Open the settings and do these few simple taps as illustrated in this few seconds video below to activate N-VPN Prime. 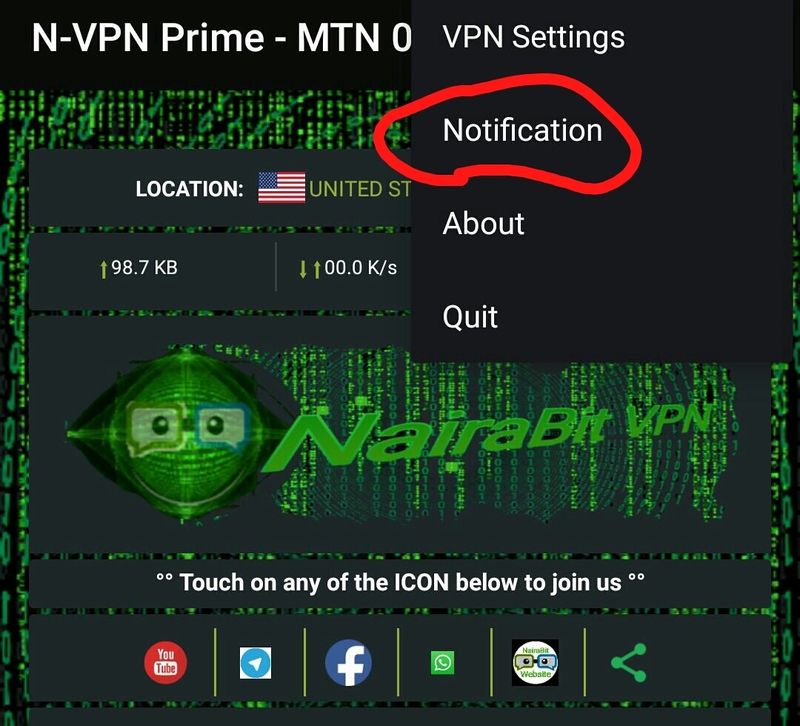 That's all you Need for this latest mtn cheat 2019, you should see "N-VPN is now connected" at the top of the app and a VPN key should show on your notification drawer. Please note that the data cap for this is still restricted to 1GB on very few mtn SIM and 50 to 80mb per day on most MTN SIMs. Not working, what should I do?